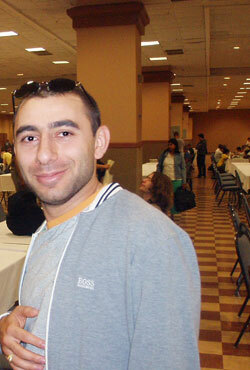 GM Varuzhan Akobian of Glendale, California defeated Alex Stripunsky in round five of the World Open (June 28-July 4) to take the lead away from the Queens based GM. Leonid Yudasin and Hikaru Nakamura played in the three-day section along with GM Mark Paragua and IMs Jay Bonin and Emory Tate. Nakamura and Yudasin drew their individual game and defeated everyone else, to join "Var" at the top of the now merged crosstable with 4.5/5.